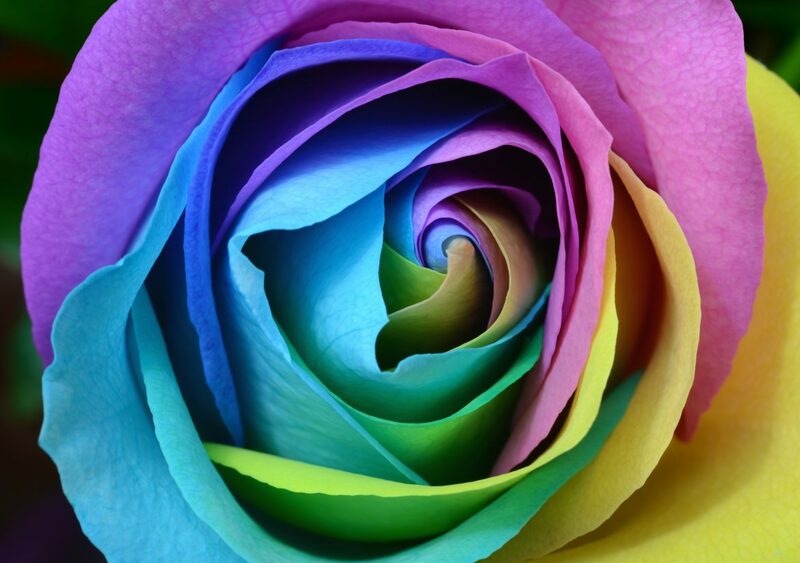 We're dedicated to making this year's Pride Week the best one yet! We're bringing some old favorites as well as trying a few new ideas that will become old favorites too. 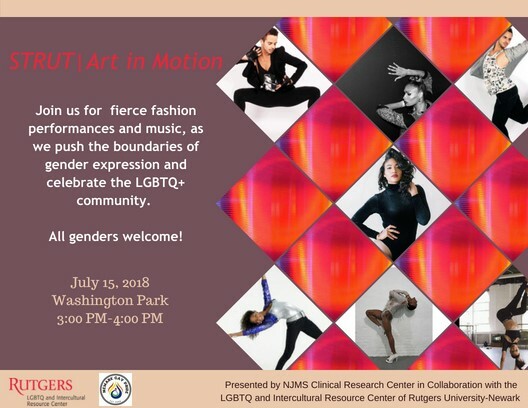 Join us starting July 10th for our Kick-Off Party, then come out for a weeklong education and celebration in all things LGBTQ in Greater Newark. 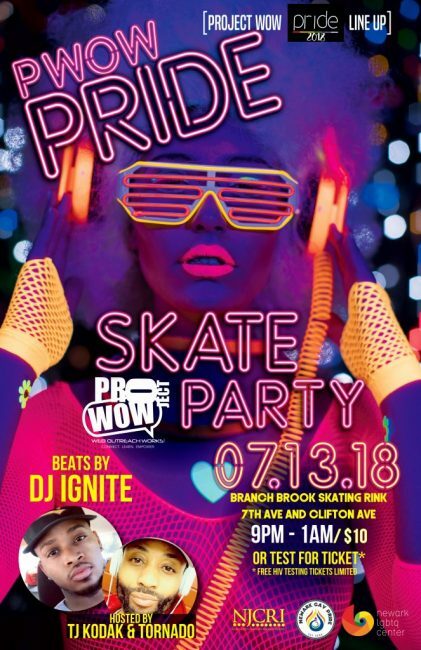 And don't forget to finish off Pride weekend at our biggest event of the year, Pride Fest! 21 and over event. No cover charge. Great food and full menu until 11 pm. $1 sangria until 8PM and $2 shots. Each year, we raise a flag to our Newark family and friends who support our community, as well as to salute those who are no longer with us. Please join us for the ceremony honored by our city government, local businesses and LGBTQ supporters. Beats by DJ Ignite. 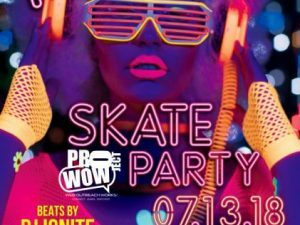 Hosted by TJ Kodak & Tornado. 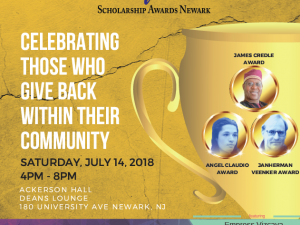 Come on out and support this year's recipients of the James Credle Award, Angel Claudio Award, and Janherman Veenker Award. 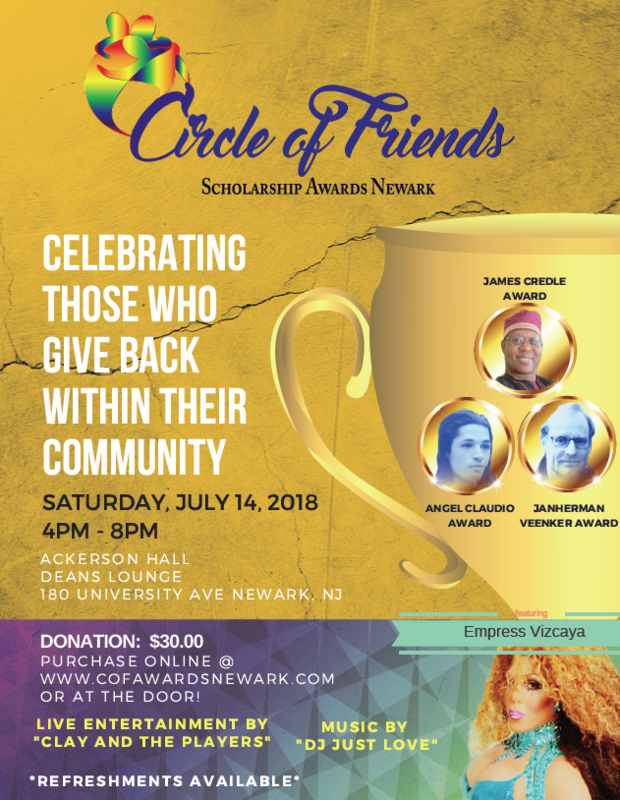 Purchase online at www.cofawardsnewark.com or at the door! 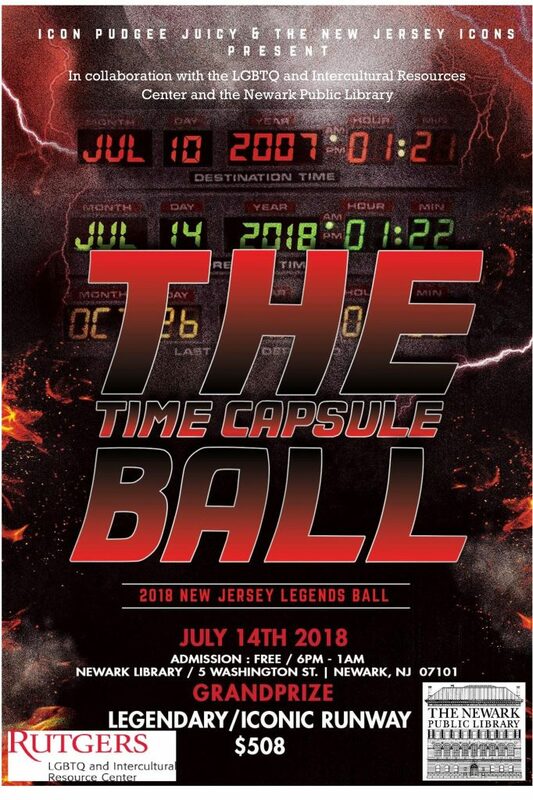 Come out to the Time Capsule Ball! 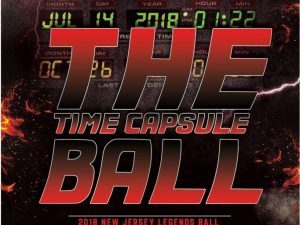 In collaboration with the LGBTQ and Intercultural Resources Center and the Newark Public Library, the New Jersey Legends Ball promises to be a party you won't forget. 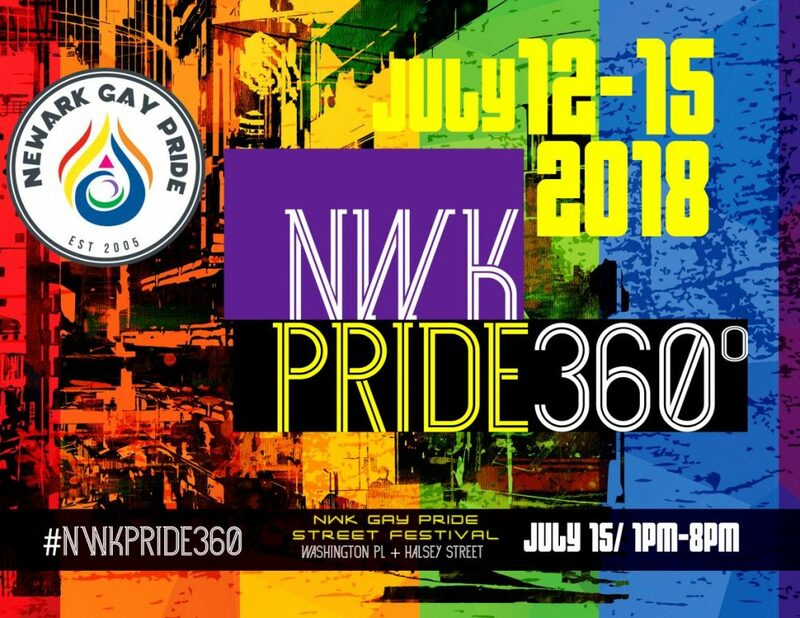 Come on out to praise and worship before 2018 Newark Pride Week festivities draw to a close with our big parade and festival! 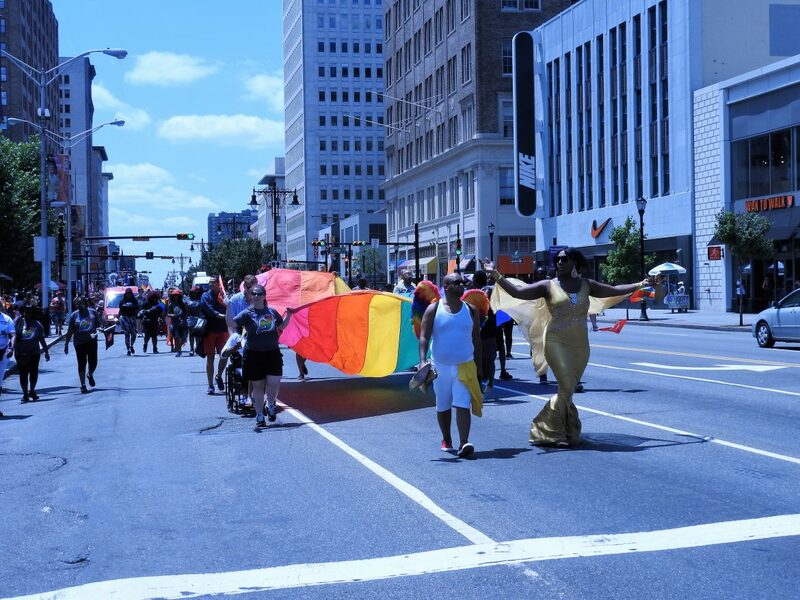 Join us for the annual Newark Pride Parade! This year we're changing it up and marching from historic Lincoln Park to the beautiful, shady Washington Park. Come on out and watch us along Broad Street as our community joins together in solidarity, activism and Pride! Learn how to participate in the parade! 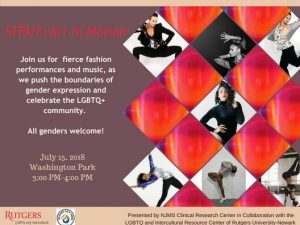 Join us for fierce fashion performances and music, as we push the boundaries of gender expression and celebrate the LGBTQ+ community. All genders welcome! 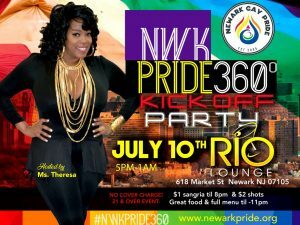 It's time once again for the Newark Pride Festival! This year, we're turning our festival in the park into a classic street festival. 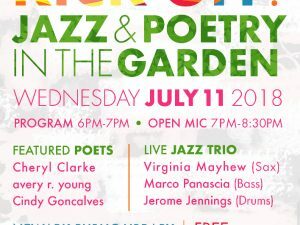 So join us at the intersection of Halsey St. and Washington Place, right next to Washington Park, for a day of music, education, activism and fun! We'll have vendors of all shapes, sizes and colors selling everything from jewelry to clothes to books to Pride memorabilia. Brick City restaurants will be keeping our stomachs full and our palates satisfied with food, drinks and desserts that will make all Newark residents proud. And local organizations will be sharing information and news on how you can live your best life--happy, healthy and aware of what's going on in our city, our state and our global community. But parking is scarce, so please take advantage of our public transportation system or ride-sharing community. 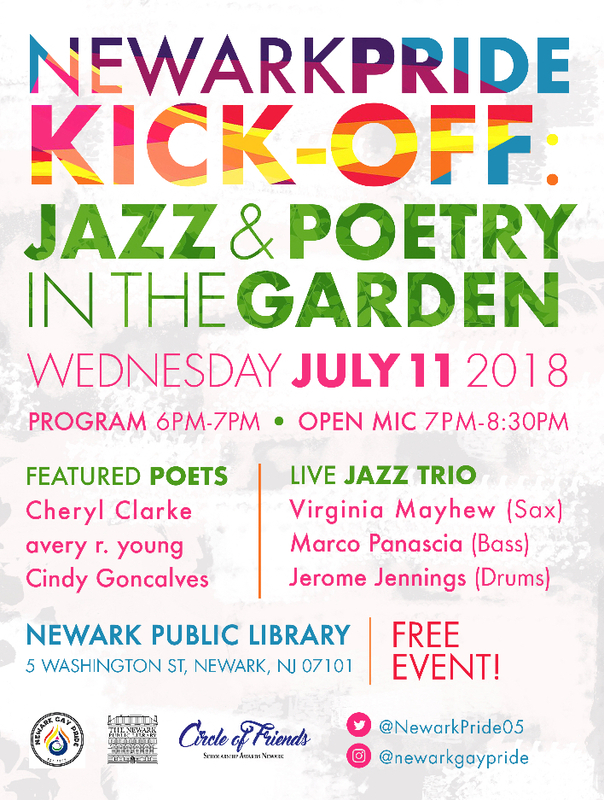 The event is conveniently located near the Washington Park Light Rail station in the heart of Newark's Arts & Cultural District. The area is also served by several buses that travel along the Broad St., Central Ave. and Washington St. corridors. Learn how to be a vendor at this year's Pride Festival! 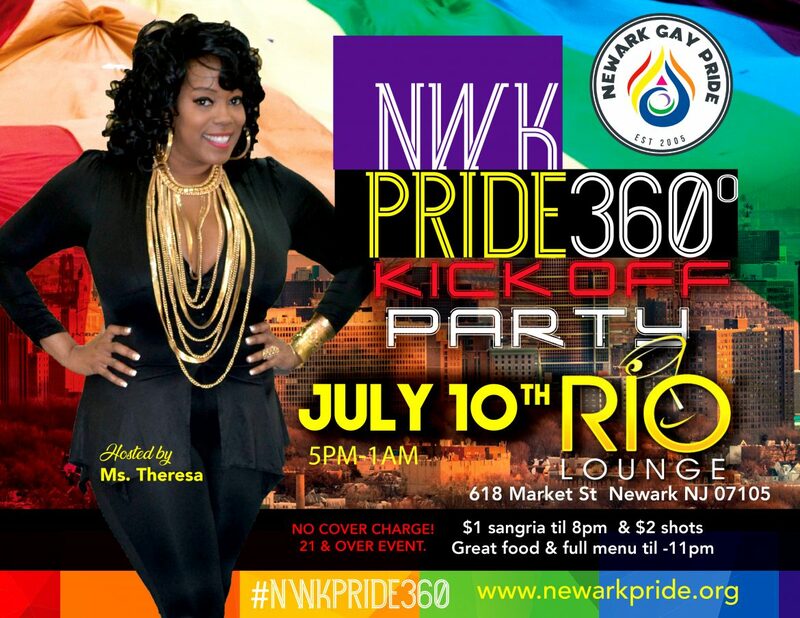 Newark Pride Week grows bigger and bigger each year. 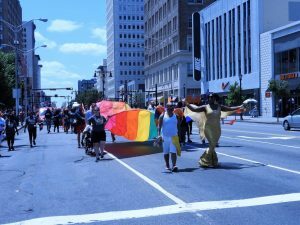 So to make the Pride Festival and weeklong celebration a success that meets the wants and needs of as many participants as possible, volunteers and allies are encouraged to help out in any way they can. 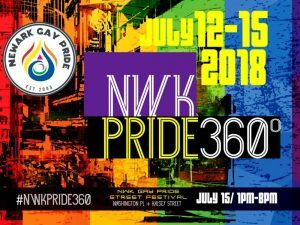 Help this year's Pride be the best one yet! Yes! I'd like to Volunteer. Where do I sign up?